Viz Glass is a pioneer and leader in the glass art industry. 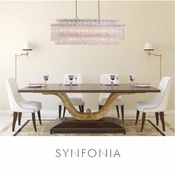 We have breathed new life into a traditional art form by refining how art glass will be produced, marketed, and sold in the global market place. 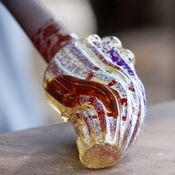 Until Viz Glass Studio developed its techniques, styles and range, glass art had always been relegated to the high end galleries and design centers. This limited the glass art medium to a small range of eclectic and wealthy collectors. Viz Glass has opened up the doors of the art glass world allowing this art form to be obtainable to a wider range of people, while still maintaining the integrity of the art form. 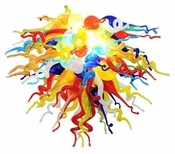 Every piece Viz Glass creates is an individually hand blown one of a kind art object for the home, business, and collectors, offered at a price point that is unparalleled and seldom seen before in the market place. Since every piece is individually crafted it may vary in color and size from the picture shown online.